Unpacking The Standards - 21centuryed Tech: Digital Teacher... Welcome To The Future! Standard - Educators will understand, reflect, and discuss on the importance of unpacking standards. Through the process of identifying nouns and verbs in a standard educators will be able to author learning targets that focus on student content and skill acquisition. Educators will be able to share why collaborating with a Professional Learning Community and sharing with students drives a culture of intentional, productive, and personalized learning. Driving Question ... How can we use "Unpacking of the Standards" to better impact student learning? A portion or foundation of a curriculum is the standards. Standards comprise the general knowledge of what we want our students to know. While these standards are a great starting point, much must be done to identify the exact content and skills that is important for desired learner outcomes. The very first step is often referred to as "Unpacking The Standards". It is this first step that will provide an eventual window of learning opportunities and assessments that will be facilitated by the teacher for the student. It will also provide an opportunity to determine the proper road map of progression within a subject and how it relates with prior and future learning opportunities throughout a district. Simply stated, unpacking the standards allows a teacher to see what a child will know and be able to do. This can be something that is very difficult to articulate from the basic curriculum standard. Please take a moment to get more of a picture. Be ready to discuss how you maybe doing this currently. Reflect on whether this is a process you script out in an intentional manner, or possibly just make happen. Unwrapping or unpacking a standard results in a form more easily translated into unit and daily lesson plans. This process helps educators zero in on what is essential for instruction. The unpacked standard alone should be sufficient for planning. Take into consideration that if a standard is already small enough, unpacking might not be necessary. Your first task is to always identify the standard. Take a look at the tasks below. You may even wish to practice by applying it to a standard while going through each task below. In a group workshop this may be done task by task. 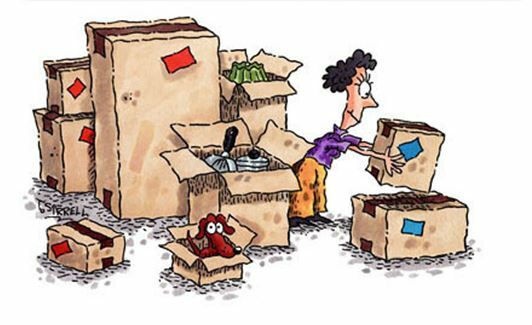 As you go through the process it is important to keep focused current task of "unpacking" ... there will be ample opportunity later to think about specific lessons, activities, and resources. Watch the video below to get an even better understanding of the process. If in a workshop you may be asked to submit at least one idea in our Google Doc Backchannel during or after the video. How does the intentional unpacking of standards possibly help planning a lesson for students? How might this also help in both formative and summative assessment.? How is this the align with what you already do? What might be some differences with what you already do? Why might it be important to work with groups of educators to do this? Take a look at this sample template for unpacking standards. Please use this to begin to unpack a standard in your discipline area. If at a workshop please collaborate with others and please be ready to share using the Google Slide Document Link supplied below. Is it important to get students to own the learning? How might this work at different grade levels? What is it important that students might understand the unpacking of the standards they are learning? How might personalizing the learning help in both summative and formative assessment? What step would you suggest as a first step in a classroom? In conclusion it is important to unpack the standards first in order to plan effective lessons and assessments. It is also a first step of a curriculum design team as they later determine proper scope and sequence (mapping), resources (productive learning material), and assessment (formative and summative). In conclusion, it allows educators to be assured that students are acquiring appropriate and defined content/concepts while practicing important performance skills necessary both career and college. Enjoy you journey on the Unpacking Highway!